Tim's post, "Ask a Diabetic Rock Star." from across the puddle at Shoot Up or Put Up is about Brett Ryan Stewart who Tim calls, "is a gifted young, up and coming American musician who writes and plays some good music described as “indie/pop peppered with a southern influence”." Now I am not one to give Tim all that much respect but when I read this exchange I had to go check Brett Ryan out. Tim: Describe your music in 3 words. Tim was right. (I know who would have thought it?) Good stuff. There is an album coming out Feb 28. So now is a good time to check out some new music. Turns out young Mr Steward grew up in the Philly area. Small world when you hear about your neighbors from a crazy Britt. Thanks Tim - You're OK even with the sideburn envy. 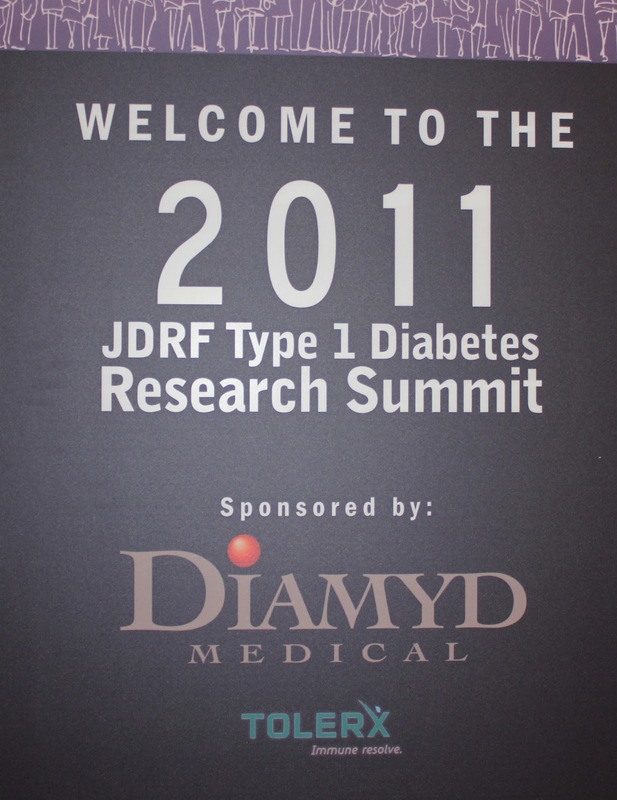 The Capital Chapter of the JDRF brought together a collection of professionals who shared the research they are doing. In most cases they also shared a personal connection that drive them to try to improve the lives of people living with type 1 diabetes. 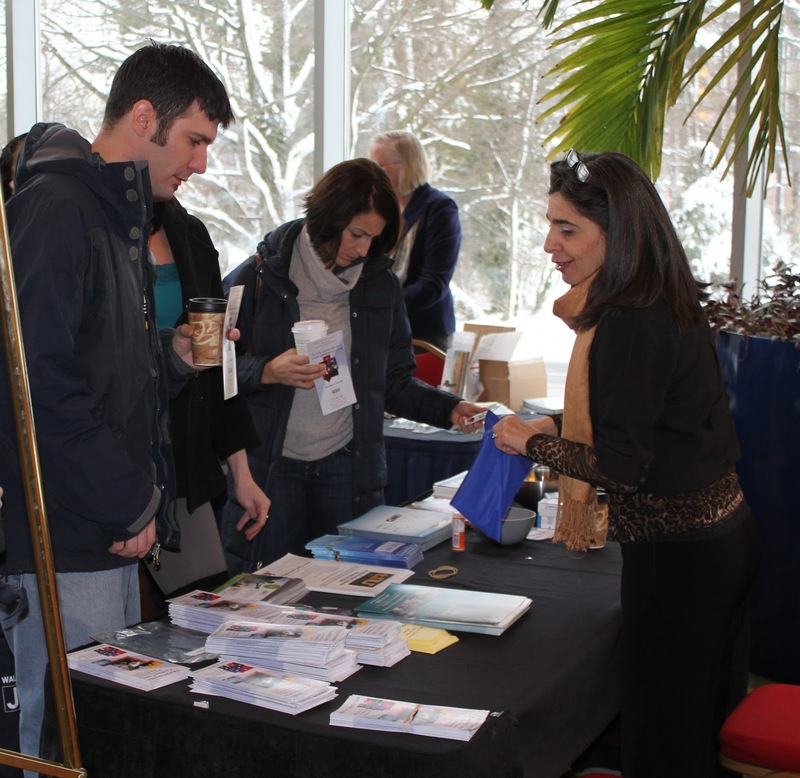 In addition to the speakers there were a number of tables where advocates, pharma and researches could present there work in a trade show like environment. The organizers had a full kids program to allow families to participate without kids becoming overwhelmed by the scholar’s presentations. For those with the experience, it was like a day at Friends For Life where you do all the research track presentation while the kids hung out (with supervision.) There was even a similar buffet lunch experience - the kids ate chicken fingers. There were maybe three to four hundred people there. Pretty impressive for a cold Saturday in January. I was happy to join with a number of other bloggers and made my first feeble attempt at tweeting in real time. Here the thing, I don’t quite know how to condense complex ideas into 140 character synopsis and both convey meaning and still pay attention. I don’t think I did either well - fortunately that wasn’t the point of the day. I was very happy to see a JDRF local chapter take on such a significant roll in supporting the families who walk for JDRF. 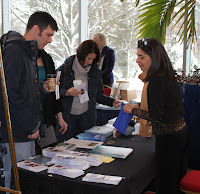 I was some what gladly drove three hours to attend and was impressed by the researches both in their work an in their passion driven by personal connections to type 1. I think that connection gets lost. I find it compelling to know the guy running the study at BU on the bionic pancreas is motivated to make his child life better. It was also enlightening if not encouraging to hear about the process of working with the FDA. The FDA is cautious. They are slow. They are careful. 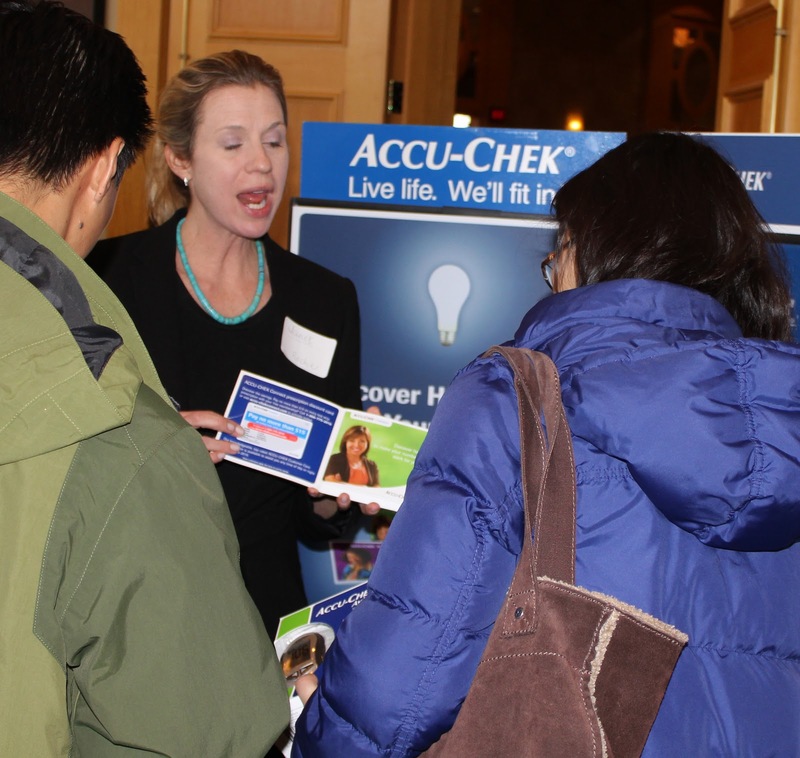 That caution can be seen as slowing down the process of getting advances in care to the market. However I think it is important to know about how the FDA approaches risk. It is good to know the JDRF is in regular contact working with the FDA to keep the risks of simply living with diabetes on the table. I think it is appropriate and useful for the JDRF to work in conjunction with industry to help promising advancements get through that review process. Particularly those products that focus more on the smaller part of the diabetes market, those living with type 1. 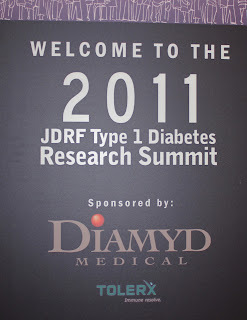 In that context events such as this help clarify why JDRF should be working with the for profit side of the industry. Advances need to come to market. I think that understanding the process of research, commercialization and approval is important. I think good communication helps both develop support for innovation over the long term and inspiration to do better with what we have in the short term. 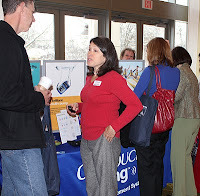 I was very pleasantly surprised by the scope and quality of the Capital Chapter’s Research Summit. I am thankful for their hard work. I am appreciative of the sponsors support. I think the Capital Chapter of JDRF offers a model for other chapters looking to engage with those living with type 1.